The 900SR Holster Bag from Canon holds your Rebel with a small lens facing down in shooting position. Once opened, just grab your camera and you are ready to shoot. Access is via a front quick-release buckle. 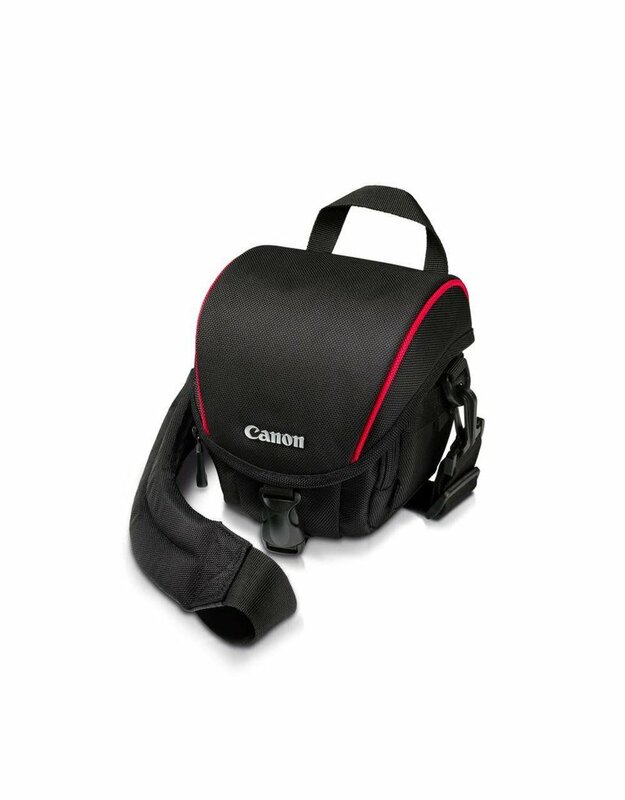 Inside, there is a single movable divider to help configure the bag to accommodate your gear. 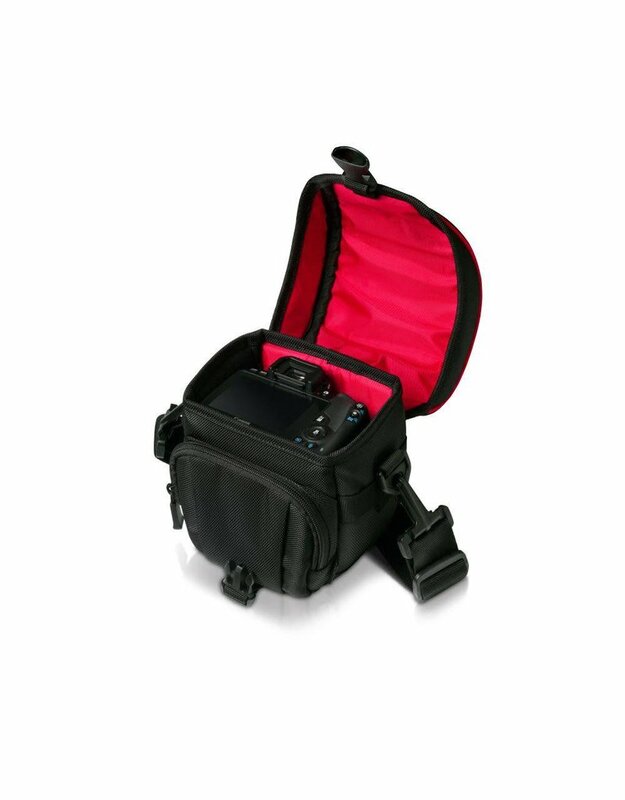 The exterior features a front zippered accessory pocket for media cards or extra batteries. 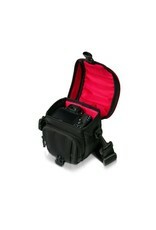 The nylon bag is accented with red piping, and is carried via its removable shoulder strap or grab handle.